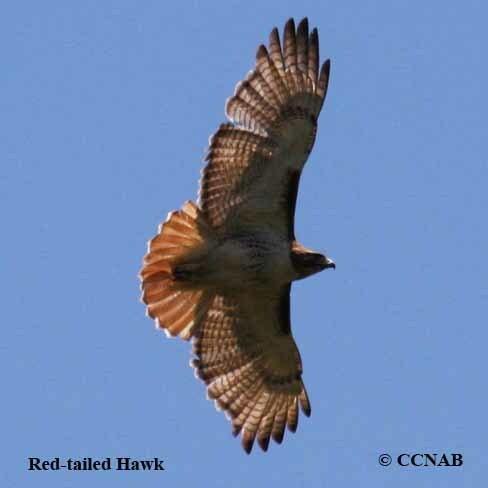 Species: The Red-tailed Hawk (Buteo jamaicensis) is one of the largest members of Buteo family and the most common of the larger birds of prey. 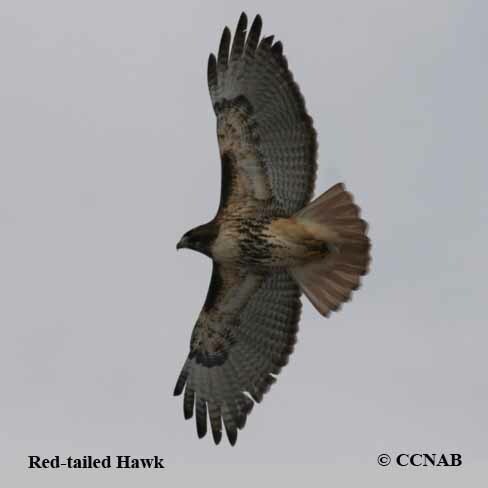 This hawk covers the largest amount of the territory in North America. Recognized in the eastern regions, by its dark brown mantle and usually a red coloured tail. There are a number of sub-species. 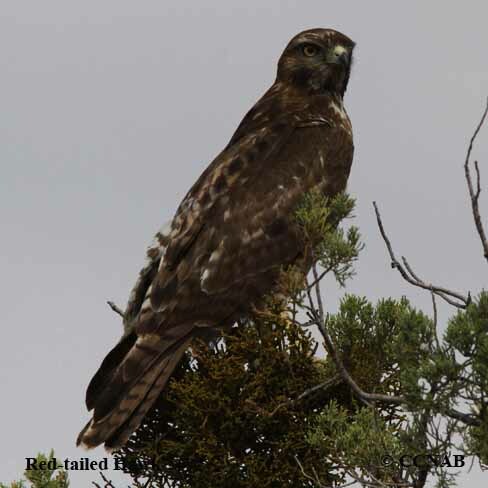 Better known among this group is the light coloured Krider's, and the fully dark brown Harlan's, both sub-species more likely to be seen in the western areas of the continent. 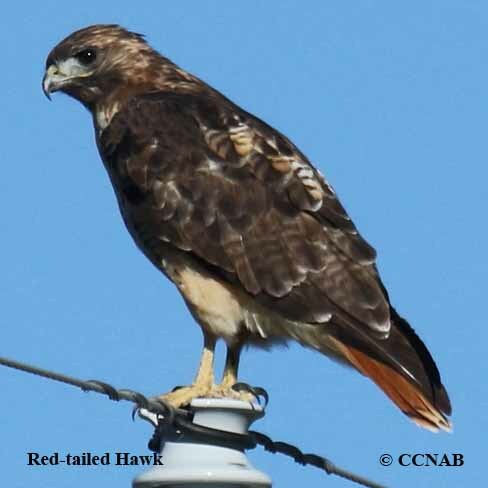 Distinctions: The eastern adults have dark brown backs and wings, brown heads, white to light brown breast with a streaked ban across their breast. 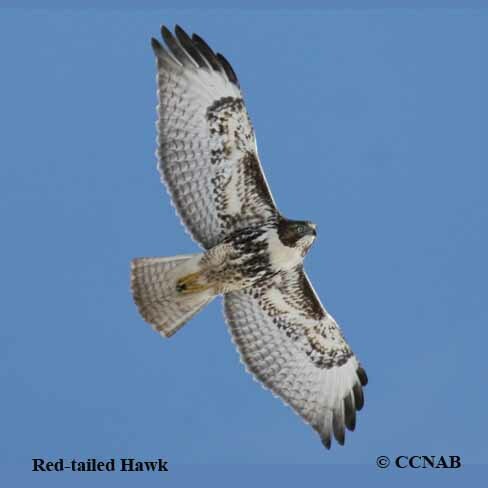 If, seen perched from the back, one can see a light coloured "V" from the shoulders to the tail. 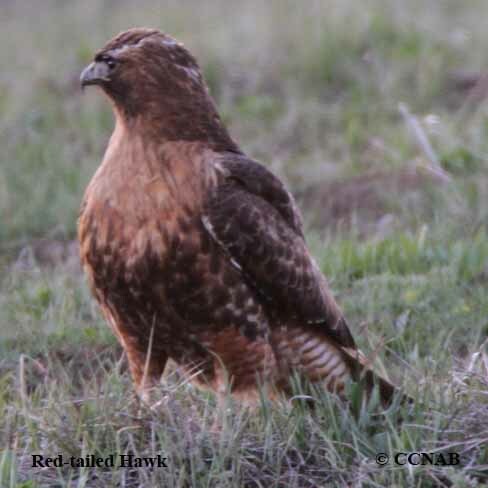 Western sub-species may be completely dark brown, with a dark red tail, or light coloured body, even with a shade of pink, with or without a red tail. 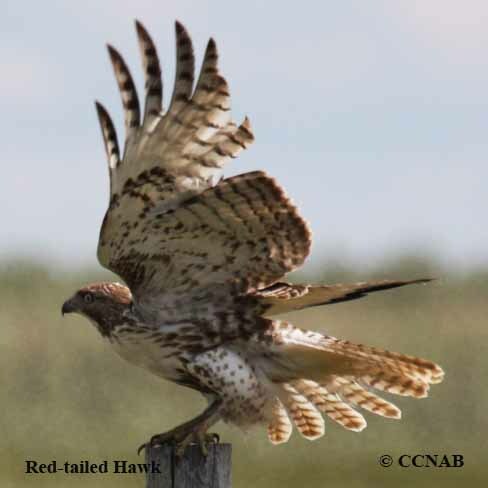 Tails on most have light banding, with a narrower white band at tips. Voice: Sharp extended cries, most often heard when the bird is in the air. Nesting: Two to three white eggs with brown spots, one brood per year. 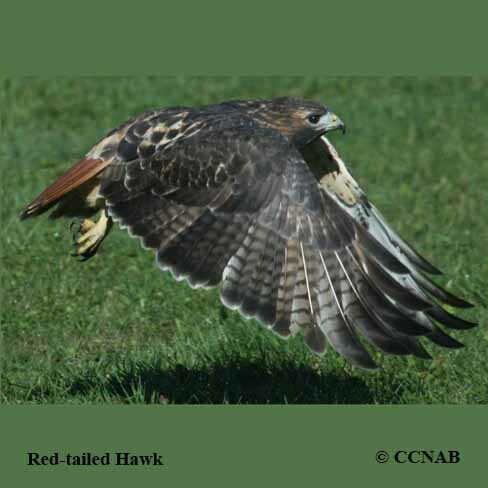 Usually, builds large nest high in the crown of a matures tree or on crevices of a cliff. Using branches, leaves and grasses as basic structure for the nest. 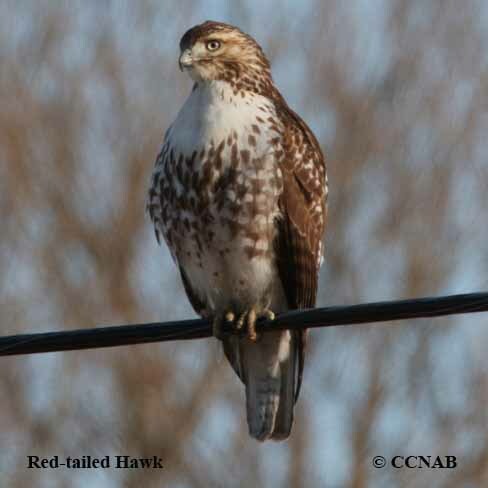 Distribution: Found along edges of open forest, common sight over open fields, often, seen perched in the lower section of a tree, watching for any movements below. Seen from Newfoundland/Labrador to Alaska, down into southern California, to the tip of Florida, into southern Central America and on the Caribbean Islands.